Everybody loves a good pizza, but let’s be honest they aren’t always the healthiest option. 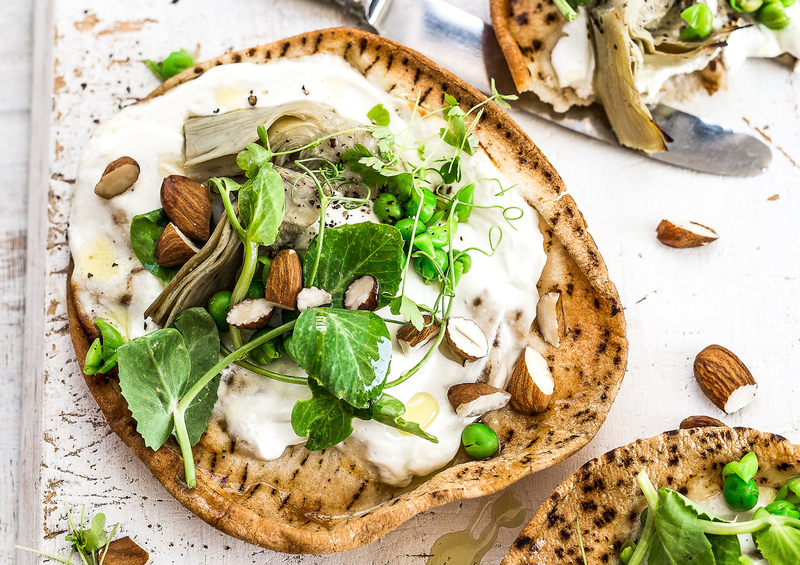 By swapping out your traditional pizza base with pitta bread and greek yoghurt for cheese, this pitta pizza will satisfy all of your pizza cravings without all of the unwanted extras. Best of all, this recipe takes 10 minutes. Can’t get enough Pizza? Check out this vegan recipe! Heat the grill to a maximum while you prep the pittas. On a lined baking tray, spread out the pittas and divide the yoghurt between them. 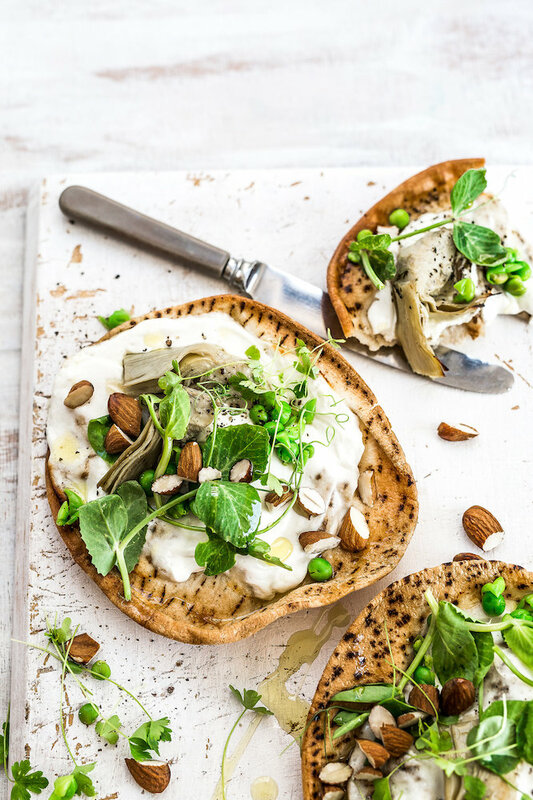 Spread it out across the surfaces, and top with two artichoke halves per pitta. Grill for 8-10 minutes until the edges of the pitta begin to brown. Remove from the grill and top with peas, olive oil, almonds, herbs and a squeeze of lemon.